If you’re on the hunt for an easy-to-install, reconfigurable way to showcase your brand, Triga might be just the solution you need. Triga is an innovative display system using tensioned fabric to create visual displays that can stand alone as towers, desks, and curved walls, or they can be mounted to a wall or from a shell scheme. 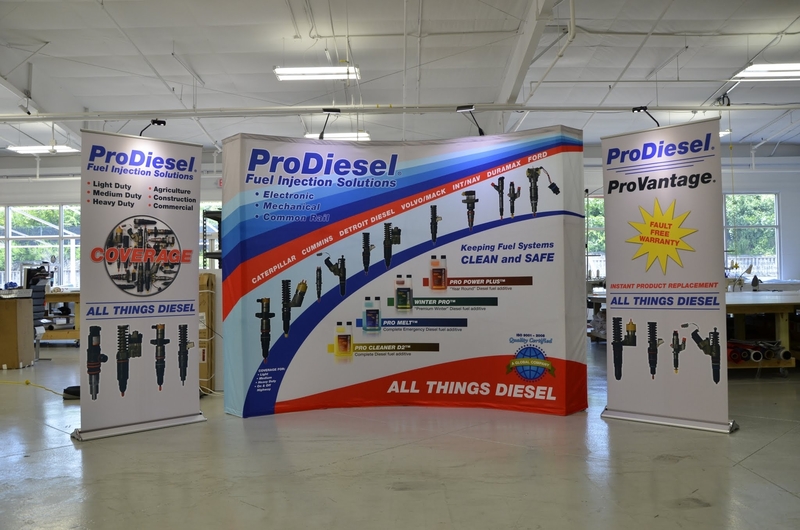 Triga can be single or double sided, and it is often used to create dynamic displays at events, conferences, trade shows, and other exhibition settings. Chances are you’ve seen a Triga display before now, and just haven’t known what to call it. Big Visual is one of Triga’s select authorized distributors in the United States. 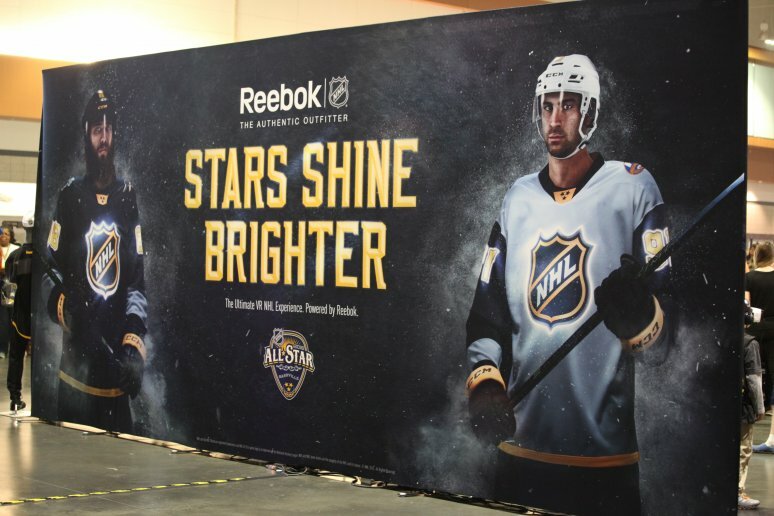 Our team recently had the pleasure of using Triga to build a display for Reebok in downtown Nashville during the NHL All-Star Game, as seen below. A huge draw to this type of display is that you can assemble and dismantle it very quickly without the use of any tools. Triga is also extraordinarily lightweight and sturdy, making it ideal for packing away when traveling. With such simple construction and reconfiguration, you might be wondering how the quality of these visual displays turns out — but that’s the beauty of the design. Triga display systems make it effortless to self-install and showcase graphics that are both seamless and eye-catching. Another bonus of the Triga design? The system is completely recyclable. So set it up, use it as many times as you need, and drop it in the recycle bin when you’re done. You now have a way to display your brand that benefits both your business and the earth. To learn more about how the Triga display system could fit your visual branding needs, contact us today. We’d love to provide you with a free quote.